Are you interested meeting other writers and expanding your circle of friends? Then the Writers' Campaign is for you! I've participated in this campaign a couple of times and met fantastic new writerly friends. I highly encourage you to join in! What other things you normally do to increase your circle of friends? Stopping by from the Campaign! So nice to meet you! Interesting idea. I guess I tend to find people through comments of blogs I read or twitter. If I like what I see, I follow along. Thank you for the link! Just heading over now. Ooh, I see you have a Page on Facebook too! Will Like now. When I was first blogging I joined some blogfests and met a lot of new people. It was fun too. It's a great idea. A fun way to meet those who write in the same genre. I attend writing groups/classes whenever I can. I'm hoping to attend some conferences soon. I participate in a few blog challenges but not this one. Each one helps me increase my followers. I'm all signed up too! Although, I don't know how much blogging I'll be doing these days. Still working on that WIP. I did this last year and it was fun. I've found lots of followers through blogfests too. I participate in blogfests and click on commenters on blogs I frequent. I participated in one of Rachel's crusades; I don't think I was a good participant, didn't visit as many bloggers as I should have. 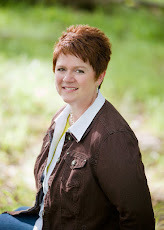 I'm a bad blogger . .
Good luck Margo; it is a cool event for gaining followers. Margo, I'm excited for the campaign. I joined in yesterday. Hope we have a great time an connecting with authors like you! 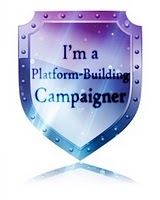 I participated in the Platform Building Campaign last year and connected with lots of new bloggers there. I think blogfests are a sure way of meeting new people. I try to find new blogs when I can through blogfests and other events; clicking links in people's blogrolls is also another method I use. Cool. Yes, we can still be friends even though you won't read Puss in Boots! I think challenges are a great way to meet new friends. I'm involved in a picture book challenge right now and have met several wonderful writers, who are interested in the same thing as I am! Meet online! The best way to meet new friends (who like the things you do). Saying "hi" from the campaign! I've opted not to do this Campaign - got too much else on my plate as it is. Makes me sad to miss out, though! I'm signed up for the campaign. Then of course my big event is the A to Z April Challenge. Great to meet you too! And reading, writing, and eating--three of my favorite things ever! Hi! I'm also a member of Rach's campaign. Just wanted to stop by and say Hello. Hi. I'm in the thriller / suspense writing campaign group with you, but also notice we will be doing the A to Z blogging challenge in April together. I'm following to watch what you get up to. Stopping by to say Hi from the YA - All Genres group. I love growing my writing community and participated in the campaign last fall. It was wonderful. Looking forward to another one! I am a fellow campaigner stopping by to say hello!! Thanks for following! I'm glad you like my book cover :) I like it, too. Can't wait for our first campaign challenge!! I'm a fellow campaigner and I'm looking forward to years of friendship with everyone. Nice to meet you. Hey Margo, I'm finally making my way over to your blog! Thanks for stopping by mine earlier in the week, I can't wait to see more of you for the campaign! I'm stopping by from the Platform Campaign. Cheers.